Video DownloadHelper is a dream come true for anyone who is keen on grabbing videos off of the Internet. It is a user-friendly, lightweight, unobtrusive Firefox add-on to provide convenience for users to download videos directly from within the Firefox browser in merely one mouse click. If you are a Firefox user, then you are the lucky dog capable of downloading videos from YouTube, Google, MySpace, etc. via this powerful DownloadHelper. Yet, providing you are using Chrome browser, unfortunately, you're not within the scope of DownloadHelper. In such case, you have no choice but to seek for the best alternative to Video DownloadHelper for Chrome (since there is no exact the DownloadHelper for Google Chrome). Well, a heck of users are still hanging in the air: which on earth is the best alternative to Video DownloadHelper for Chrome? Calm down! After countless trial-and-error processes, the experienced users give their answer to us on online forums. They reach a consensus that the straightforward yet solid MacX YouTube Downloader is the second-to-none alternative to DownloadHelper for Chrome users to download videos with whatever formats resolutions. See, the following comparison between these two mighty video downloaders can speak for themselves. 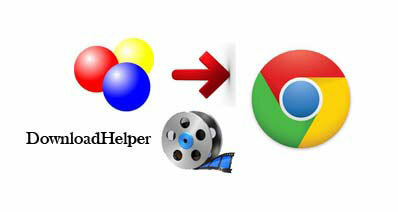 Why MacX YouTube Downloader Able to Be the Top Alternative to DownloadHelper for Chrome? Be sluggish at times, causing your downloads to lag. Yes. But it can cause Firefox to hang if multiple videos are simultaneously queued for download. YouTube, MySpace, Google, Dailymotion, etc. FireFox, Chrome Google, Safari, Bing, etc. Batch downloading several videos at one blow. After side-by-side comparison, I bet you should be clear about why MacX YouTube Downloader rides such a wave of popularity and dominates the throne as the best free Video DownloadHelper alternative for Chrome. Of course, the above table is just an overall narration about the features of this top Chrome DownloadHelper alternative. If you're interested in its detailed function introduction, okay, here we go! Designed to serve for Mac users, this free alternative to DownloadHelper for Chrome cuts the buck in downloading any video from YouTube, (the video format in MP4, FLV, 3GP, MKV, AVI, etc. or the HD video in 4K UHD/1080P/720P) with merely mins (30 seconds for music video) and zero quality sacrificing due to its inherent advanced technologies supports. Better still, it can also address your needs to download videos to iPhone iPad by applying its feature of adding MP4 videos to iTunes library so that you can enjoy downloaded YouTube videos without video conversion. And in case you wanna extract pictures from the downloaded video, it totally leaves the initiative to you! Step 1: Free download this first-class Video DownloadHelper Google Chrome alternative on your Mac (Yosemite) and launch it. Copy and paste the URL of the YouTube video for download. Then click "analyze" to load the YouTube music video details. Or click "paste & analyze" button to automatically detect the video clips opened in browse. Step 4: Click "Download Now" to start YouTube videos, TV shows free download process. Option 1: After downloading videos free from YouTube in Chrome, you can resort to the advanced MacX Video Converter Pro to convert any video to your iPhone 6/6 Plus, iPad mini 3/Air 2, Android devices for on-the-move offline watching. And this Swiss Army Knife also supports you to record non-downloadable YouTube/Facebook/Metacafe/MySpace videos with original quality reserved and convert them to your Mac, hard drive or your handheld gadgets for offline entertainment. Option 2: There are also some other sound alternatives to DownloadHelper for Chrome worthy your attention. *Easy to use with intuitive interface. * convert downloaded video to AVI, a universal PC video format. *Able to download video, audio, streaming online. * works with many sites. MacX YouTube Downloader is a full-featured, high quality, and remarkable YouTube video downloader. It is very convenient for Mac users to obtain SD&HD or even 4K ultra HD video in short time.